First Squad detectives are investigating a Robbery that occurred on November 15, 2013 at 5:15 pm in Uniondale. Uniondale, NY - November 16th, 2013 - First Squad detectives are investigating a Robbery that occurred on November 15, 2013 at 5:15 pm in Uniondale. According to detectives, while in the yard of the Northern Parkway School, 440 Northern Parkway, two juvenile male victims were approached by two male black subjects. One of the victims was pushed to the ground, his pockets were emptied and an iPhone was removed. The other victim was asked if he had anything on him and after stating “No” the subjects fled the scene southbound on Davis Street. Subject 1: Approximately 18 years old, 5’9” tall with dark skin and short black hair. He was wearing dark “True Religion” jeans and a black hoody. Subject 2: Approximately 18 years old, 5’9” tall with a thin build and was wearing a black ski mask. Detectives request anyone with information regarding this Robbery to call Crime Stoppers at 1-800-244-TIPS. All callers will remain anonymous. 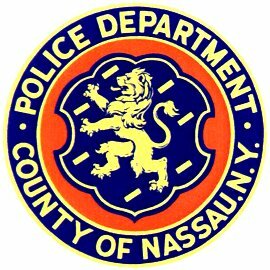 Subject: LongIsland.com - Your Name sent you Article details of "NCPD Crime Alert: Two Male Suspects Sought for Uniondale Robbery"